Are you ready for another video tutorial from me this week? I’m pretty sure you are going to LOVE this one!! It’s using my signature colors that are so fun together. My little sister, Amber, is visiting me for a couple of days so we are going to craft all day today. Super excited about that!! 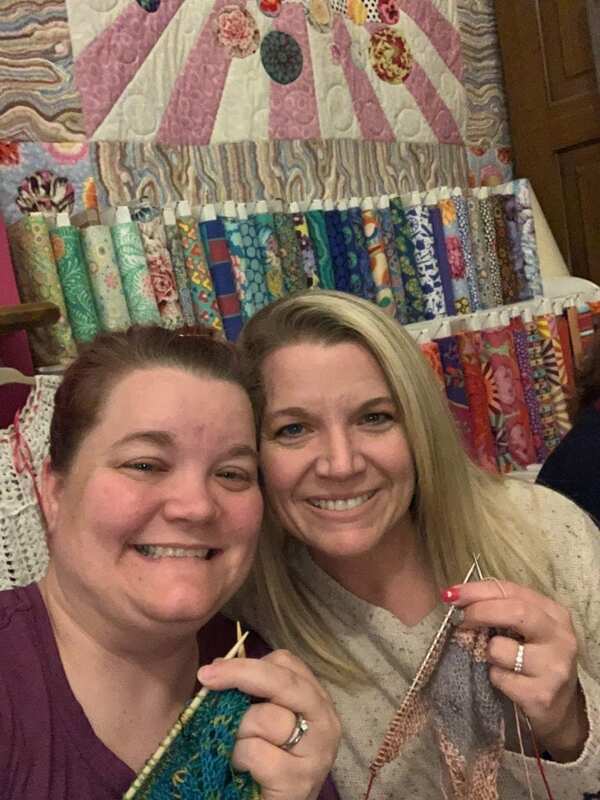 Last night my sister, Amber, and I went to a local knit group that is about 15 minutes away. It was so fun! Thank you , love your video’s Ialways learn so many cute things ! Pretty card! Hope you had fun with your sister! Looks like a great visit with your sister! Love the cards…so cute! Now Fun for you and your sister! 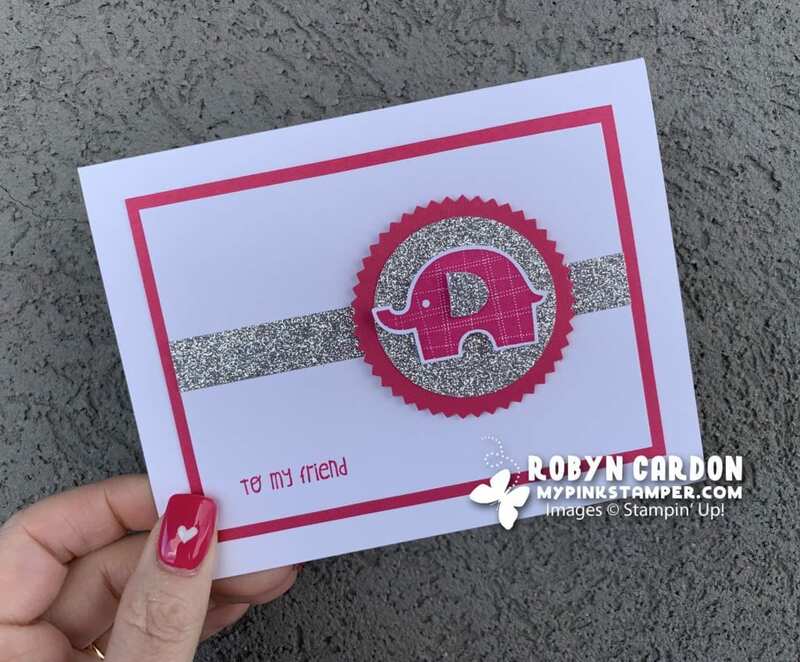 And this elephant card is adorable! I love love love the colors you chose! Hope you have a great time with your sister!! I love this card!! So adorable. Very cute card, can’t go wrong with Melon Mambo, and we love your unedited videos just as much as the edited ones! My son still talks about the video where your camera fell over at the end! 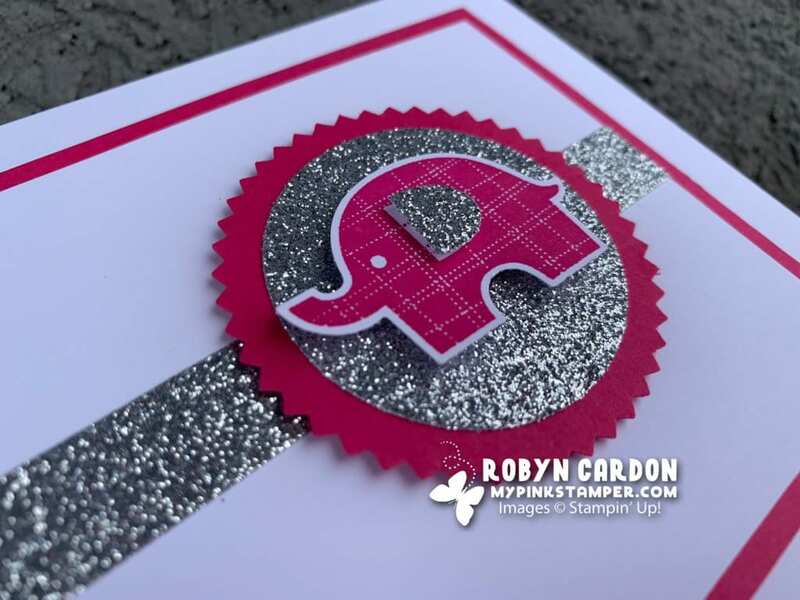 Great Card Robyn….Have fun with your sister!! I love the card. Enjoy your sister time! Love the Melon Mambo/silver combo! Awesome cards! Sister fun! Your colors are so trademark! Adorable elephant! Love the colors you used, too!